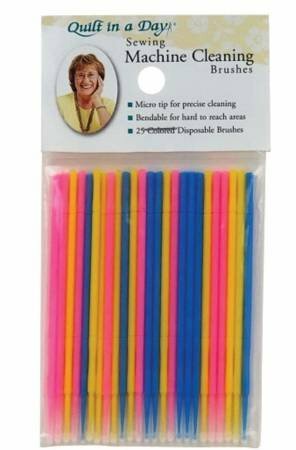 Sewing Machine Cleaning Brushes, assorted colors (yellow, pink & blue) in 25 pack. Micro tip for precise cleaning. Re-usable or discard after each usage.